Google handles the payment process. In order to use the Android InApp Billing API, you must have Google Play services. This method means that the credit card data isn’t exposed to the developers. > Consumable: Can be purchased multiple times (e.g. coins, credit, etc.). > Non-Consumable: Can be purchased only one time (e.g. obtaining the pro version of an app). * Products requiring recurring billing (monthly or annual). For managed products or subscriptions, the developer needs to define the products in Google Play Console. Google tracks products and transactions using purchase tokens and order IDs. 1. The user starts a purchase inside the mobile application (i.e. buying credits or items). 2. The mobile application uses the Google Play API to perform a purchase request. 3. Google Play application asks the user for payment details (i.e. credit cards, PayPal, or a code). 4. When the payment is correctly performed, Google sends a purchase result with the item purchased by the user and the signature of the payment. 5. After some verification by the mobile application, the content is delivered to the user. With those elements, it is necessary to perform a signature validation to ensure that the payment was performed correctly. To do that, the developer needs to validate the signature of the purchase using his public key. For the purchase verification process, Google recommends that you validate the purchase details on a server controlled by the developer. Google stated that performing validation on the device is not truly secure. In order to familiarize developers with the InApp Billing API, Google provides a sample app to show how the API works. We can see that the signature verification is implemented inside the application. However, Google recommends that you implement this code on a server that communicates with the application. As you can see, these two libraries don’t support server side validation. In 2013, Dominik Schürmann found two vulnerabilities in the Google InApp Billing library allowing to bypass the payment process and to be able to buy unlimited items. Dominik detailed the vulnerabilities on his blog. The first vulnerability Dominik found allows a malicious application installed on the device to impersonate the Google Play billing service (com.android.vending). In fact, it was possible for a malicious app to define an intent filter with a high priority in order to receive the requests sent by the targeted app. The problem of this function is that, by default, it returns true. So, if the signature is empty, the verify function is never called and the function returns true. Dominik developed a malicious app allowing you to exploit this vulnerability. It’s easy to use, you just have to compile the project and install the APK. Then, you can use the app to exploit the vulnerability in any application using InApp Billing. Although Dominik discovered that vulnerability in 2013, it’s still possible to bypass the InApp Billing process and to obtain unlimited credits in different applications. 1. Install a malicious application able to impersonate the Google Play Billing service (com.android.vending). For instance, you can still use the code Dominik provided and make some adjustments. 2. Decompile the targeted application with apktool. 3. Modify the smali code to replace the package used for the InApp Billing with your malicious application. 4. Modify the smali code to change the function performing the signature validation. The idea is to return true in all cases. 5. Recompile the targeted application with apktool. 6. Sign the newly created package with jarsigner. 7. Install the modified application in your device. Note: I provide examples and technical details in the Vulnerable Mobile Applications section. After analysis, it appears that CreeHack and LeoPlaycard are exploiting the issue Dominik discovered. 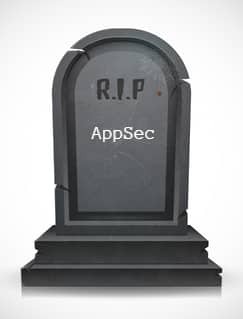 However, all the applications available on the Google Play store are not vulnerable anymore. Lucky Patcher was the only application we found that modifies the targeted application in order to bind the Google Play Billing service to Lucky Patcher. Google offers three ways for developers to test the InApp Billing implementation in their mobile application. 1. Test Purchases: Developers can define test accounts in their Google Play Console to make purchases without any actual charges. 2. Real Purchases: Developers can perform real transactions with their mobile application. * test.purchased: When you make an Google Play Billing request with this product ID, Google Play responds as though you successfully purchased an item. The response includes a JSON string, which contains fake purchase information. * test.cancelled: When you make an Google Play Billing request with this product ID, Google Play responds as though the purchase was canceled. * test.item_unavailable: When you make an Google Play Billing request with this product ID, Google Play responds as though the item being purchased was not listed in your application’s product list. * test.refunded: When you make an Google Play Billing request with this product ID, Google Play responds as though the purchase was refunded. However, it seems that this static response was removed. Those Static Responses should be used only when debugging an application or in a testing environment. However, we found some mobile applications still allow the use of static responses in their production code! At BSides Lisbon 2017 Jérémy Matos made a good presentation on this subject. The first example of a mobile application that allows these static responses is PandaPop. In the verification process, the mobile application checks if the Static Response uses “android.test.purchased.” In this case, the signature of the payment is not verified. Another example is a library called Android InApp Billing v3. It is an open source library similar to Prime31 and Unity, used to handle requests to the InApp Billing API. If the Static Responses are in use, this library validates the purchase without any verification. FruitNinja has been downloaded more than 100 million times. It’s a simple game where the goal is to destroy the maximum number of fruits in a limited time. When we looked at the source, we found that most of the InApp Billing workflow is handled on the com.halfbrick.bricknet.GooglePlayBillingService class. We identified a function called PurchaseResult that is used to validate the purchase. The developers decided to create a shared library (here called libmortage.so), which handles the critical functions. So, in order to understand what the PurchaseResultNative does, you need to reverse engineer the shared library. However, it seems the PurchaseResultNative function suffers a security issue on the signature validation. Indeed, during our tests, we found if the signature is empty, the signature is considered valid. Dominik found this same behavior in 2013. We performed the modifications on the smali code. JuiceJam is another popular application and has been installed more than 10 million times. After applying these modifications, you only need to recompile the application and enjoy your ability to have free credits! We found several other popular apps that were also vulnerable to the same technique. A good approach is to use an external server controlled by the developers that performs the signature verification and provides the content bought by the user. However, if the developers are not selling real content, but items similar to credits, an attacker will still be able to find a way to obtain credits by reversing the application. The other approaches to securing applications using the Android InApp billing API are imperfect and only slow down an attacker. The developers can use Proguard to obfuscate the code and prevent people from understanding the verification process. Another solution is to use the Java Native Interface (JNI) to use native code embedded in the application. In this scenario, a developer can embed the sensitive functions in a shared library used by the mobile application. Again, trying to reverse low level languages is more time consuming. It’s difficult to implement a solution that can reliably and securely prevent attackers from modifying a mobile application to bypass the payment process using the Google Android InApp Billing workflow. 15-Jun-2018 – Contacted Fruit Ninja. 20-Jun-2018 – Fruit Ninja confirmed they received the findings, mentioning they will get back to us if they need to follow up. 27-Jun-2018 – Sent reminder to Fruit Ninja, mentioning our intent to publish. 15-Jun-2018 – Contacted Juice Jam. 15-Jun-2018 – Juice Jam confirmed receiving our message, mentioning they will get back to us. Guillaume Lopes is a pentester with 10 years of experience in different fields (Active Directory, Windows, Linux, Web applications, Wifi, Android). He also likes to play CTF (Hackthebox, Insomni'hack, Nuit du Hack, BSides Lisbon, etc.) and gives a hand to the Tipi'hack team. Proudly OSCP certified.